Sage, citronella and other plants keep bugs at bay and can make your time out in the woods a little more relaxing. The smoke from a campfire will deter many insects and other critters, but adding these items will serve to keep you fully protected. Breakfast is especially important when out in the bush, but a carton of eggs can be a fragile item to pack. Instead, crack your eggs ahead of time. Eight eggs can easily fit in a regular plastic water bottle, which can be stored in your cooler. This eliminates a potential mess without sacrificing your famous backwoods omelet. 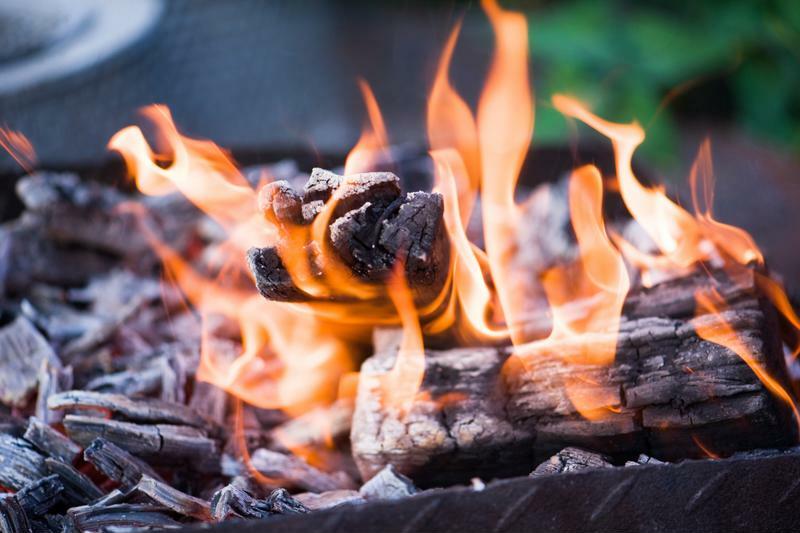 Corn chips and other tasty treats may already make it on to your shopping list, but the oils in these products actually make them a perfect fire starter. This is key if regular kindling supplies are damp or in short supply. A humble corn chip makes great emergency kindling. Though breakfast is important for everyone, some folks may argue that coffee is even more important. Before you head out, measure out a cup's worth of ground coffee beans and use a coffee filter to make an individual pod. Use this like a tea bag for an instant cup of joe. Corn chips may be a good last-resort for starting a fire, but an empty egg carton full of charcoal is an efficient and reliable thing to bring on any camping trip. Instead of gathering sticks or fussing with newspaper, use this to get things going without any hassle or worry. Adventurers heading deep into the woods should bring this on any trip. This orange tape is a way of marking trails that may be otherwise difficult to navigate, and is fully biodegradable. This is great for anyone hiking with family. Sometimes the best way to improve your camping situation is to invest in better gear. From top of the line tents and tarps to bicycle gear that helps you safely explore the great outdoors, be sure to bring along the best items to keep you safe and sound. 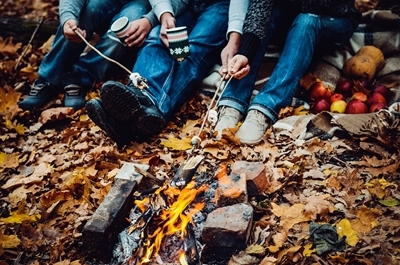 Many campsites have restrictions on certain types of firewood, but if possible, make choices based on the food you bring along. Hickory, for example, makes a delicious smoky flavor. Many types of pine trees, however, are full of resin that can negatively affect your cooking and may even be hazardous. Plan ahead and pair a meat and wood that complement each other well to achieve the best camping meal.